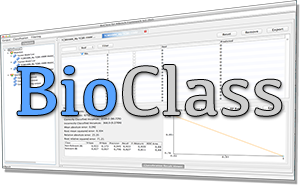 geneCBR is a model that can perform cancer classification based on microarray data. In order to store the information belonging to each sample, the system uses a fuzzy codification to represent the gene expression levels of each sample. This operation permits the generalization over the whole case base in order to tackle intra-experimental and inter-experimental variations in the data. Based on the fuzzy discretization of real gene expression data into a small number of fuzzy membership functions, the system is capable of constructing a set of prototypes that are able to represent the main characteristics of previously ascertained classes. 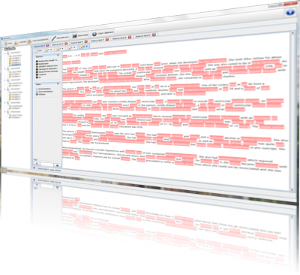 BioAnnote is a desktop application is able to annotate biomedical texts by using different high-quality online resources, such as Medlineplus and Freebase. Users can introduce biomedical documents and obtain annotations for the relevant terms, such as diseases, symptoms and treatments. In addition, users can retrieve more detailed information for each recognized entity (making use of an integrated web browser), including related topics, external links, related bibliography and paper abstracts. @Note is Biomedical Text Mining platform that copes with major Information Retrieval and Information Extraction tasks and promotes multi-disciplinary research. In fact, it aims to provide support to three different usage roles: biologists, text miners and application developers. @Note was developed in collaboration with the CCTC (Centro de Ciencias e Tecnologias da Computacion) and the BioPSeg (BioProcess Systems Engineering group) of the University of Minho.